At AwardBlinds.com we take pride in offering high quality window blinds and shades at discounted prices. Occasionally we are able to extend extra savings and promotions to you, our valued customer. Take advantage of these amazing additional deals while we are able to offer them. Happy Easter! 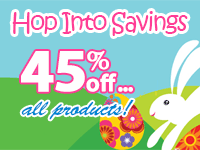 Hop on to huge savings and get 45% off all of our products during our Easter Sale! This sale will not last long! Enter coupon code: EASTER45 in your shopping cart! Hurry! Sale ends on Wednesday, April 24th, 2019! *Valid on new orders only. Valid in combination with our Extra 5% off Easter Sale when your order total is over $500 after the 45% off discount is applied. Not valid with any other coupons. Valid online only. This Easter get an additional 5% off all orders over $500. Don't miss out on these eggstra savings! 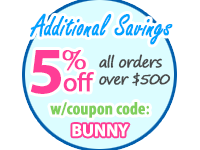 Enter coupon code: BUNNY in your shopping cart! *Valid for new orders only. Cannot be applied to previous orders. Valid for single orders only, cannot combine multiple orders for the discount. Valid with the 45% off Easter Sale coupon only. Discount is applied after the 45% off sale. Order total is calculated after the 40% off discount is applied. Valid online only. At AwardBlinds.com we offer FREE ground shipping within the contiguous United States via UPS/FedEx on all orders that do not contain oversize blinds or shades. Typically if a product is over 96" in width then it is considered oversize and additional shipping consideration must be taken by the factory, often times resulting in the shipment being handled by a freight carrier. If applicable, oversize sizes will be noted on the product's page under the "Shipping & Production Information" section. 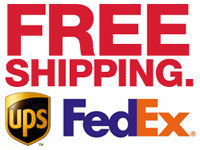 For full details please visit our Free Shipping page.